There was once a buff in the APA standard of perfection, we have recreated a buff that we feel may be similar to the old buff. Here is some info on the APA buff: The Buff is a historic variety of the mid-Atlantic region named for the beautiful color of its feathers. 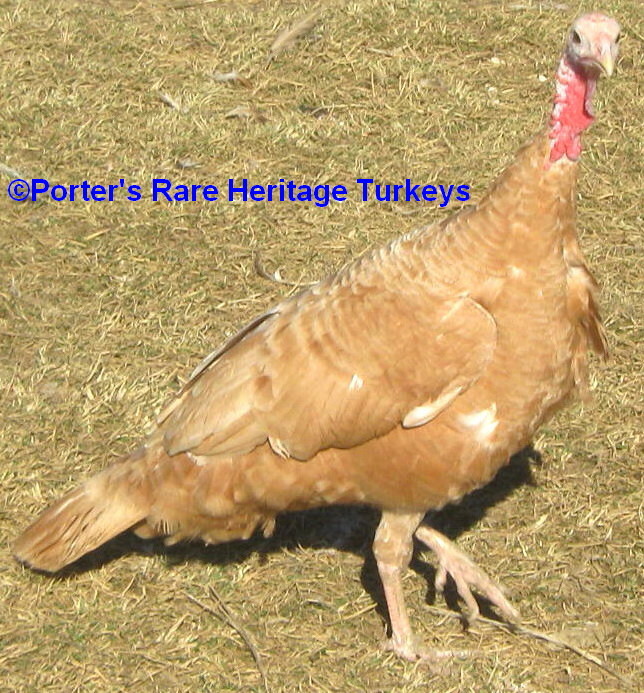 Though never widespread, it was accepted by the American Poultry Association in 1874 , by the early 1900s this variety had become rare. 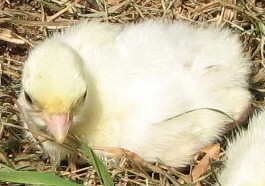 An obstacle to the Buff’s success was the difficulty of breeding birds to meet the Buff color standard, which called for pure buff coloration throughout with the wings being of a very light shade. By 1915, the Buff was removed from the American Poultry Association’s Standard of Perfection and ultimately became extinct. What we have created seems to meet the old buff standard pretty close . The genotype of our self buff is black winged bronze based with brown, narragansett and red genes. cannot see brown in their phenotype. Poults are light yellow downed at hatch.